Tennessine atoms have 117 electrons and the shell structure is 2.8.18.32.32.18.7. The ground state electronic configuration of neutral tennessine is [Rn].5f14.6d10.7s2.7p5 (a guess based upon that of astatine) and the term symbol of tennessine is 2P3/2 (a guess based upon guessed electronic structure). Tennessine: description Your user agent does not support the HTML5 Audio element. On 8 June 2016 IUPAC announced the new name tennessine (symbol Ts) for element 117 in place of the temporary systematic name ununseptium (Uus). A five-month review period expires 8 November 2016 to review this name prior to formal approval by IUPAC. 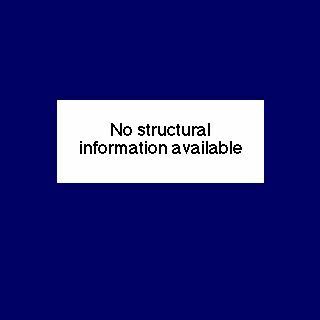 The solid state structure of tennessine is: bcc (body-centred cubic). Since element 117, tennessine, is unknown in nature, it has no biological role. Reactions of tennessine as the element with air, water, halogens, acids, and bases where known. Binary compounds with halogens (known as halides), oxygen (known as oxides), hydrogen (known as hydrides), and other compounds of tennessine where known. Bond strengths; lattice energies of tennessine halides, hydrides, oxides (where known); and reduction potentials where known. 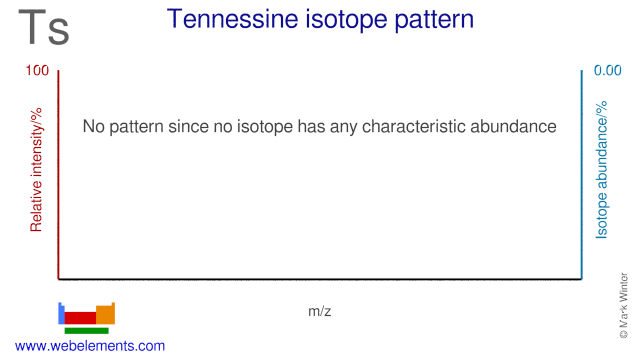 Tennessine was discovered by (not yet confirmed) in 2010 at (not yet confirmed). Origin of name: for the element with atomic number 117, the name proposed is tennessine with the symbol Ts. These are in line with tradition honoring a place or geographical region and are proposed jointly by the discoverers at the Joint Institute for Nuclear Research, Dubna (Russia), Oak Ridge National Laboratory (USA), Vanderbilt University (USA) and Lawrence Livermore National Laboratory (USA).. Isotope abundances of tennessine with the most intense signal set to 100%. Isolation: an article published in Physical Review Letters on 5 April 2010 ("Synthesis of a new chemical element with atomic number Z=117") claims the identification of six atoms of the isotopes 293Ts (five atoms) and 294Ts (one atom) in fusion reactions between 48Ca and 249Bk.